If you like to read a Doctor Who story then you just have to get this Dr. Thirteenth Book. 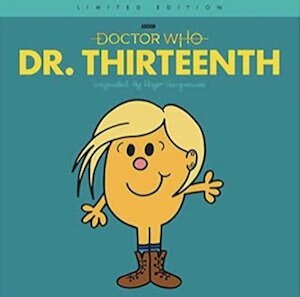 This Doctor Who book is made by Roger Hargreaves and is just great for all the Doctor Who fans young and old. This 13th Doctor story comes in hardcover, paperback, and as a Kindle Ebook version so that you can read it the way you prefer. So if you want a unique Doctor Who book then this is what you like to see. 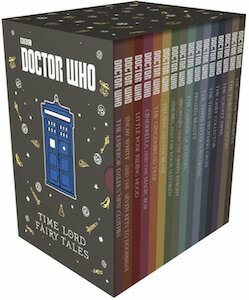 Now there is this Time Lord Fairy Tales Book Set so that you can learn all the stories that where told to the Doctor when still a child. This is a box set with many different fairy tales book. The stories in the set are not about Doctor Who but do have hints to it and there are stories that have character we all know. Now you or the kids can enjoy some fun fairy tales that may bring back memories from other stories and character but no matter what they are fun to read. 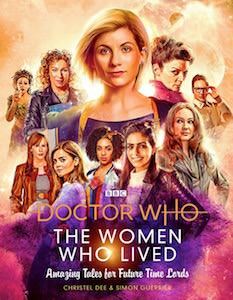 Now there is a Doctor Who The Women Who Lived Book. The book is all about the women that show up in the amazing Doctor Who TV series. There will be a lot of companions in the book but also queens and even the first female Doctor Who herself. Each woman has a nice picture of herself and a story and more info like when they showed up first and many other details. Not only is this Doctor Who book a great read it is also a great reference guid with the details you want about the women you have seen on TV. If you want to find out who knows most about Doctor Who then you need this Exterminte A Doctor Who Quiz Book so that you can play it with friends and find out what kind of a fan they are. 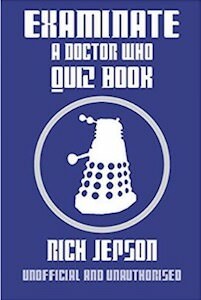 Rick Jepson did a a great job putting together a lot of quizzes inside this book so that you can have lots of fun with friends to see who knows most about the Doctor. You can get this Doctor Who quiz book in paperback or as an ebook and what ever format you choose it is just perfect for when you hang out with other Doctor Who loving friends. 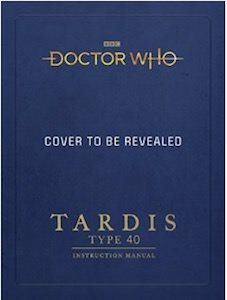 Doctor Who fans know about the Tardis but if you want to know it all then you just need this Tardis type 40 instruction manual. The Tardis instruction manual has 160 pages and comes in normal paper form and also digital. Inside the Doctor Who book you will find information of all the version of the Tardis from the beginning all the way to now and that does mean it does include the Tardis version used by the 13th Doctor. Diagrams, plans, schematics and more describing all the functions of control panel as well as a floorpan of the the Tardis. So now you can get all prepared for when you run into the Doctor and the Tardis. If like to have some good fun with the Doctor then you should cehck out this Doctor Who Villains And Monsters Mad Lib book as it ready for some fun. 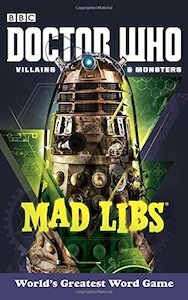 If you like word games and Doctor Who then look no further as this is the Mad Libs about Doctor Who and the villains and monster. So just read the book with your friends and fill in the gaps to make hilarious sentences that will make you laugh out loud for a long time and if you use pencil to write the words then you can always erase it and do it all over again. 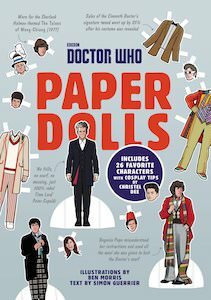 If you would like to dress Doctor Who then you need to check out this Doctor Who paper dolls book that makes your dreams come true. Inside the book, you will find 26 different characters including the first 12 Doctors and many companions and the is trivia, cosplay tips and more but it the most important things is dressing up those cool Doctor Who paper dolls because that is just amazing. Now you could choose to give the 12th Doctor the outfit from the 1st Doctor or maybe the 3rd but you get the idea that the options of dressing the paper dolls are almost limitless. 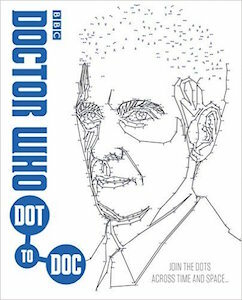 Now there is a Doctor Who book that lets you build the doctor up from dots. Yes, this is a connect the dots book with 45 intricate portraits that have over 500 dots to connect in each drawing. Dalek, Doctor’s, companions and many more Doctor Who related characters are all there to be completed by you. So if you would like something to do that does not include the TV or your phone then doing the Dot to Doc book is just perfect especially on a cold or rainy day. 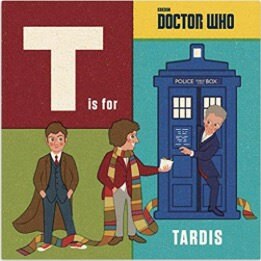 If you are a true Doctor Who fan then you just need this book. The Quotable Doctor Who brings famous quotes from across space and time and besides quotes it has great art inside it to. 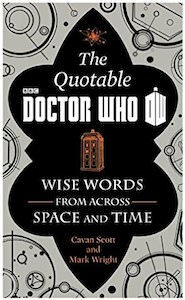 Of course you would like to read things the 1st Doctor said or maybe even the war Doctor and you will find them all inside this amazing book that also is available as ebook. Inside the book you will find 346 pages of quotes and pictures and that does not seem like a lot as the Doctor is already flying around for so many years.